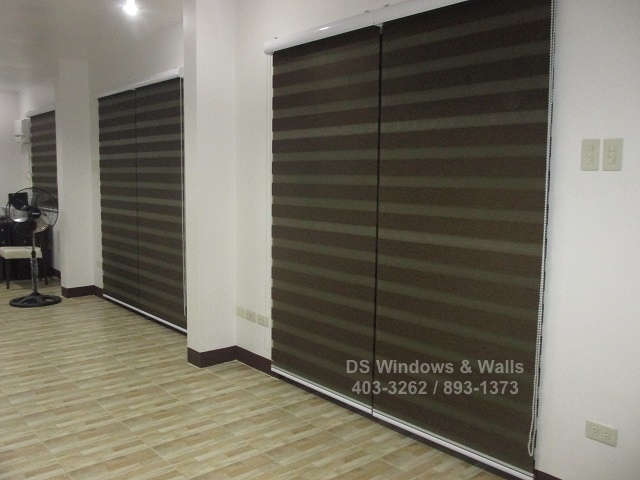 Our featured clients for this write-up are those that preferred dark brown or choco colored window shade coverings. Actually there are several shades of brown e.g. buff, chestnut, chocolate, cocoa brown, khaki, etc. and our window combi shades has several shades of brown like Mono M302 brown, W204 Khaki, Silk S303 Brown, Pure P206 Brown, Pure P208 Coffee, etc. to name a few. 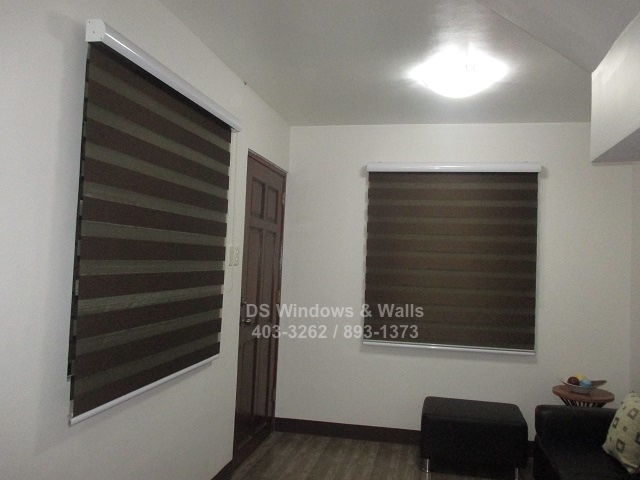 You’ll never ran out of shades of brown in our combi blinds selections as this color is one of the most sought-after color in the world of window blinds and shades. This particular client ordered Mono M301 choco combi shades for their living room. As you may also notice, their sofa set wood frame and pillow case has almost the same shade of brown as their window covering that gave their living room a sense of uniformity and synchronicity. Their sofa’s main color is light brown, almost beige, that also aligns with the overall motif of the place. 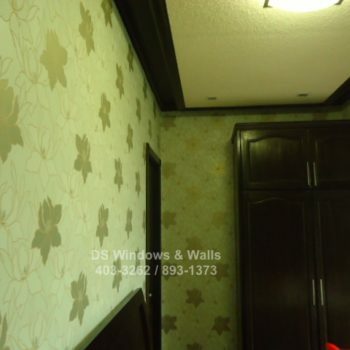 On the above photo, the wall resembles the Peru color shade of brown that serves as a breaker to avoid a monotonous tone of color but not deviating too much in the preferred color shades motif. 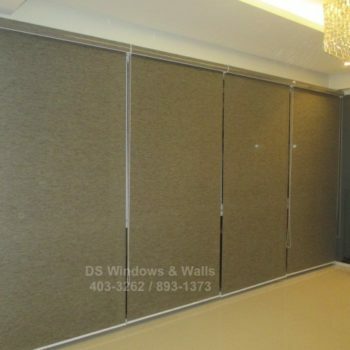 For home owners, it is also worth noting that window coverings such as combi shades can be utilized not only to block too much heat and sunlight and to protect privacy but also to beautify the house and coordinate with furniture and other home decor in terms of color, motif, and style that in unison can potentially create the perfect dream home interior. The next featured client, also color dark brown, ordered Wood W207 Choco that also coordinates well with the color of its door and light brown flooring. 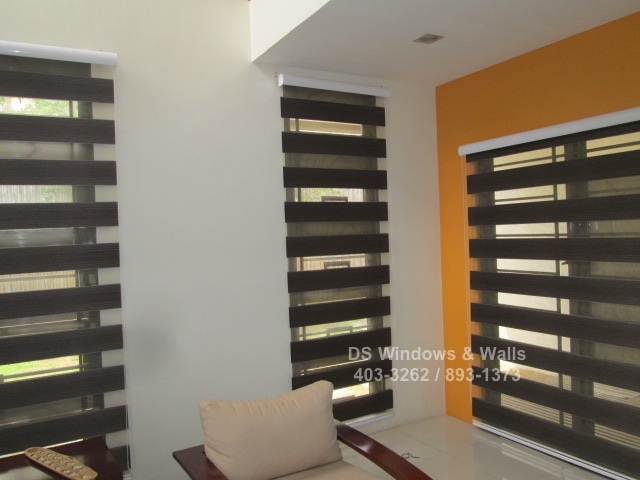 Also, the combi blinds covered a big portion of space in the wall that looks really glamorous against a plain white wall. Since brown is an earth color, it is hard to be wrong when color coordinating with the surrounding furniture and fixture. So if you’re unsure of your artistic capability in terms of designing your own rooms, you’ll be safer with shades of brown colors. 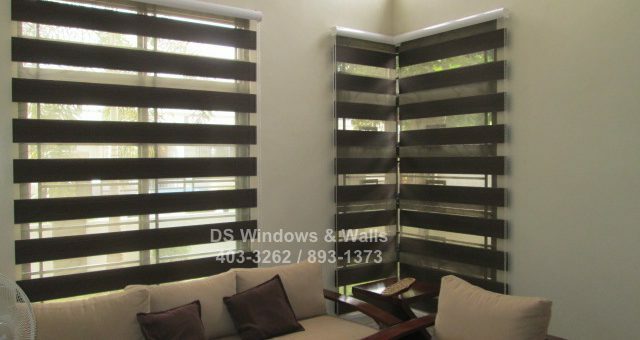 DS Windows & Walls proactively seeks the best and latest fabrics and interior trends to make sure that you’ll get the best and modern styles. We provide free home visit and consultation just call us to make an appointment / schedule at (02) 403-3262, (02) 893-1373, (02) 668-9668. You can also email us to make an appointment at inquiry@dswindows.com. You may also visit our mall branches to see all available window coverings and other interior products that you might also like.